As you know, The Lost Steersman required several iterations, as I kept missing typos, fixing ’em, finding more, fixing ’em again… but then the cover gave me grief by reproducing in somewhat different colors than appeared on my screen, requiring multiple cover fixes, as well. Frankly, I had so much back-and-forth with The Lost Steersman, that I’m now very suspicious of myself. I kept thinking I was done, almost letting it go to print, and at the last minute saying: “Let’s just check one more time” — and finding even more that I’d missed. This happened over and over! Either The Lost Steersman had an inordinate number of typos, or my brain was completely curdled by repeated previous proofing and cover-creating. And these two possibilities are not mutually exclusive. One of you (Hi, Charlie!) had offered to help with the proofing on that book — but I was close to done by then, so with many thanks, I declined. Also, that’s a great big task to drop on someone! Yow. But then, it occurred to me… what if it were a littler task? Here’s what I’ve done for the next book (The Langauge of Power): I’ve split it into five chunks of 45 to 65 pages. I’m looking for five people — noble volunteers! — willing to take a section and run their eyes over their bit, looking for typos. And willing to tell me their findings by midnight Eastern Time on Friday. True, that’s only a couple of days… but it’s only a few pages, too! You are people who read a lot, right? ‘Course you are. Should be a breeze. And, as a token of my gratitude, you get… an autographed copy of the new paperback version of The Language of Power, when it’s done. Any takers? If you’re up for it, drop me an email (rosemary.kirstein@gmail.com). I’ll email a PDF for you to peruse (or an MSWord Doc file). Well. Drop a line, if you’re interested. He’s way up there. Embiggening won’t help. 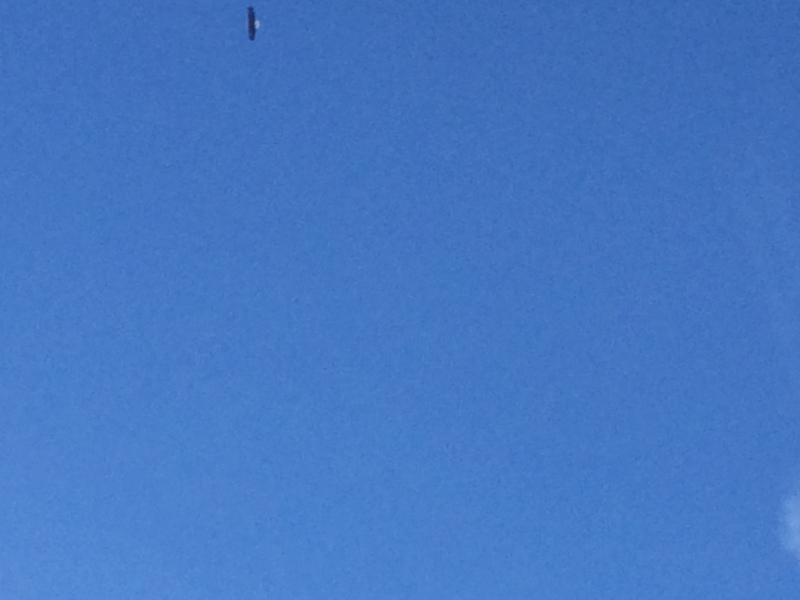 My eyes caught more than my iPhone could… and there is no doubt that that is a BALD EAGLE. 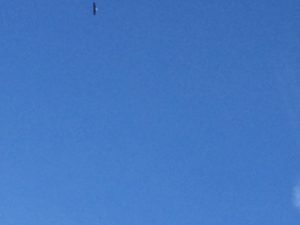 I watched him for a long time, soaring in circles, all the way along the Quinnipiac River, which is mere steps away from my office. And a few days later, he was there again. I do believe he’s here to stay.